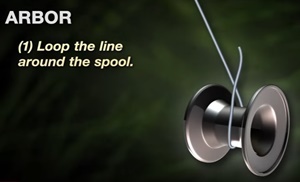 Arbor Knot helps you a lot while attaching your fishing line to the reel. The Arbor Knot is a good choice when attaching monofilament or fluorocarbon lines. 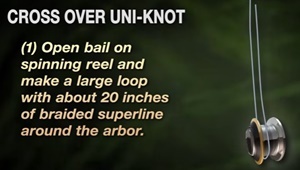 This knot can be used for both baitcast or spinning reels. Of course you can use this to attach braided lines to your reel, too, but the spool must be designed as a non-slip braid-ready spool. Or tie monofilament on first and fill the spool with 5-15 wraps before filling the spool with braid or other superlines. There are too many braided fishing lines on the market but, which is the best? Here the most known brands in the world of new fishing line era. Chose your favorite one! Whether it’s fishing for freshwater panfish or hunting sharks in the oceans, anglers can count on tested and proven KastKing products for reliability and top performance. Incredible knot strength, outstanding abrasion resistance, near zero stretch, smaller diameter than competitor's line and low price make KastKing one of te bests in the world. Varivas is meeting the needs of serious anglers all over the world, with a comprehensive range of the highest quality fishing lines. Products: Maxcuatro, Zero Impact, Super 8 Slick, Depth Hunter, Hollowace, Ice Tec, PowerPro Classic. This American braided line company uses Enhanced Body Technology that provides a smoother, slicker, rounder and structurally superior ultra-strong braided line for flipping, jigging, casting, trolling and big game fishing. Only the best technology and most advanced High Molecular Weight PE fibers qualify for SpiderWire braided lines. Ultimate fishing line, for ultimate performance! Products: Advanced Superline, Performance pro 8, Deep Down, NanoBraid, Gravity2, Performance Braid, Matrix Pro, Performance Fuse, Big Fish, Advanced Leadcore, K-Braid, Super Cat, JiggingBraid. Sufix has a variety of braided fishing line to choose from. Proprietary technologies make it the strongest, most durable small diameter braid on the market. Sufix delivers longest casting, easiest handling braided fishing line available, and comes in a metered line as well for precise depth management. 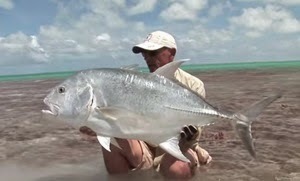 One of the most popular brand in Americ and becoming more known by all kind of anglers around the world. Products: Original PRT, Windtamer, Extra Smooth, Shock Absorbing,PRT IGFA, Hollow-Core, Metered- Colored. 40 G.
It's mostly very popular among American anglers. FINS have chosen to research and design the finest braided superlines possible and it offers five styles of fishing superlines, each one produced with genuine spectra fibers and manufactured in Kentucky. Daiwa's braids are strong and sensitive, but it's also noticeably thinner, softer, smoother and more flexible than ordinary ones. That means less friction for better casts; reduced line noise on the retrieve.